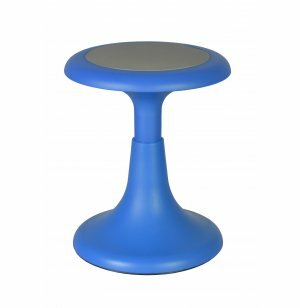 Regency Glow Active Seating Stool 17"
With the many hours that they spend in the classroom, high school and middle school students can benefit a lot from active seating stools. Get your students moving to the rhythm of the lesson, with Regency Glow Active Seating. With the freedom to move without creating a distraction, students can focus for longer periods of time. Healthy movement helps students release energy while they learn, so they can stay in the classroom, rather than leaving when they need to get in motion. Active seating allows your students to move in any direction. 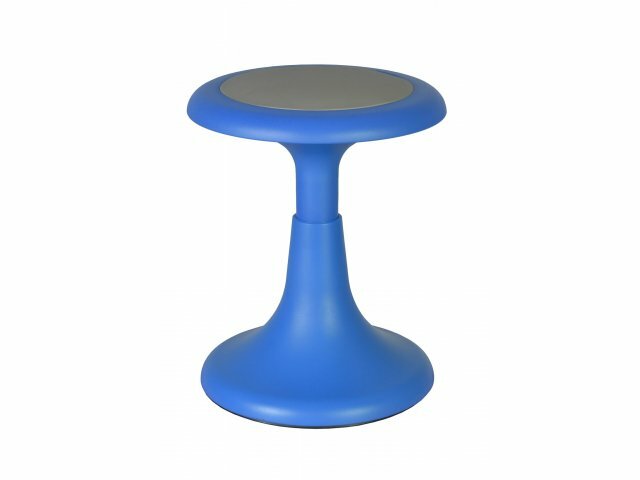 Non-skid padding keeps students sitting securely, while the convex base allows them to spin, balance and turn. The ergonomic design promotes healthy posture, as students work to maintain balance throughout the lesson. Active sitting chairs will quickly become a favorite in your library, lounge or classroom. On the Move: A convex base allows students to move sideways, back-to-front and spin around during class time. Sturdy Material: Made with durable ABS plastic for long term enjoyment. Stable Positioning: Non-skid padding helps students sit securely as they move. Ergonomic Design: Students learn to maintain healthy posture by constantly working to stay balanced.